Are you looking for security, durability, and reliability? 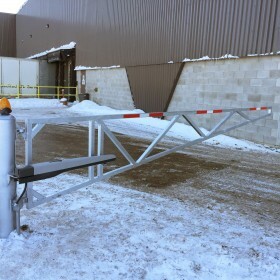 Jay Fencing has a commercial or residential gate system for you. 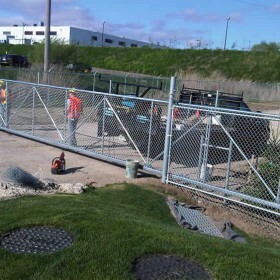 We install and repair commercial grade swing, slide, and parking gates. We offer top of the line operators and access systems for all your needs. All of our gate systems are backed by professional service and with a written guarantee. 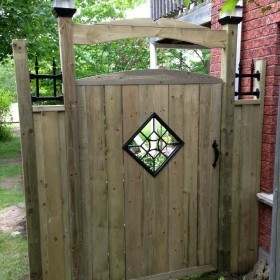 From start to finish our professional design and Fabrication team will turn your gate ideas into reality. 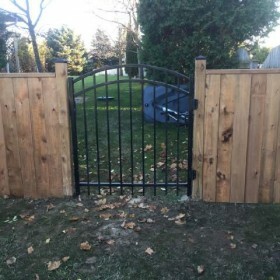 Our professionally crafted gates accented with beautiful stone pillars and state of the art residential swing or slide operators will enhance the beauty and the value of your property. Get help today designing your gate by requesting an appointment through our contact page!